Herbs /Soapnut Shells /Spices /Safflower/ Senna leaves/Saffron/ Nuts & Kernel (Dried Fruits) /Dry Morels /Bitter Apricot Kernels /Quince seeds /Rose Petals/ Vegetable Seeds /Gums & resins /Essential oils & Herbal Extracts. We are bulk suppliers to many Esteemed Organisations engaged in Manufacturing :- Ayurvedic - Herbal & Homeopathic Medicines, Herbal Extracts, Cosmeceuticals , Nutraceuticals, Aroma & Incense Aggarbathies, R & D Laboratories, Supplementary Foods, Healthcare & Food Products & Vetinary medicines. the International Market & provide our valuable customers with deep satisfaction. We reiterate our up most interest to work with your esteemed Organisation & shall be under abligations to fulfill your requirements through exerting maximum efforts & satisfying you in all aspects. 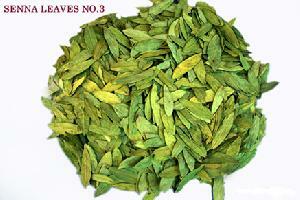 Please visit our website www.herbsnherbalextracts.com for detail Product Catalogues. We look forward for your prompt & positive response along with some requirements .